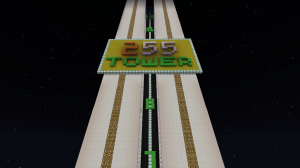 Race your opponent to the top of a 255 block high tower in this two player parkour map. 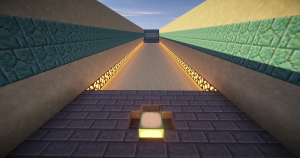 A 10 level parkour map that brings easy to hard levels! "3 Minutes" is one of the hardest Speed Run maps ever, you have only 3 minutes to graduate the full parkour! 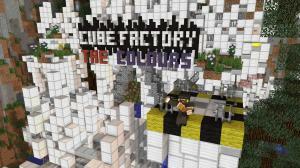 A fun, 7 stage themed parkour map for the whole family! 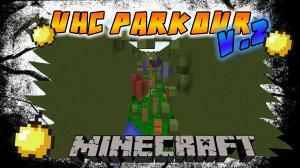 Welcome to UHC Parkour v.2! The sequel to UHC Parkour. 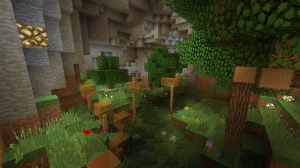 This is a medium difficulty parkour map, but with a twist... No natural regeneration! This map is dedicated to the Pack! Enjoy! 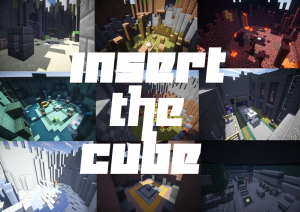 Insert the Cube is a singleplayer parkour map with lots of fun! 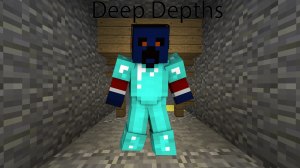 The goal of the map is to insert the cube into a quartz hole. 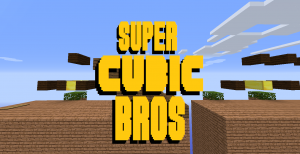 Parkour your way through all 7 continents, and defeat the enemies on a 1 on 1 battle with parkour! 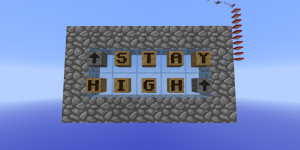 Did you know that you can jump a 23 block chasm with 3 pieces of TNT? 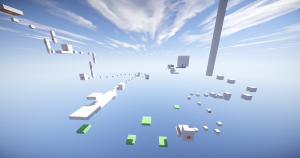 This map features 12 different mind-blowing jumps that just a few pieces of TNT can help you complete. 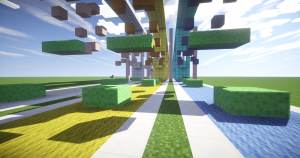 Bow Parkour is a collection of piston Parkour Maps, like the ones found in my other map called The Temple Master. 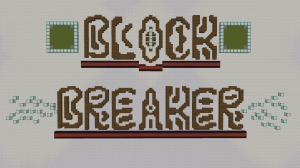 Mid-way between puzzle and parkour, Block Breaker is a game where you find your path by destroying sea lanterns, using special abilities. Discover alternate game modes for variety! 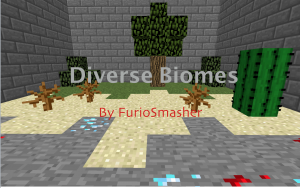 Diverse Biomes allows you to parkour in different ways through biomes. 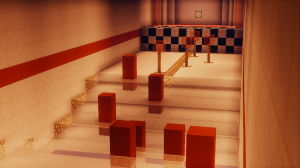 This is a parkour race map with 3 identical lanes of jumps. First player to the end wins and all players are teleported back to the start area. 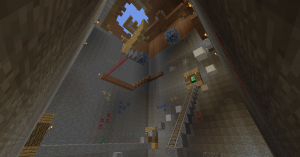 Parkour your way through a malfunctioning mine shaft to find your way out! 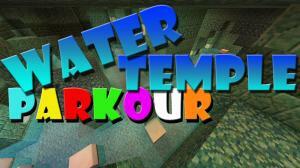 It doesn't matter how good you are at parkour, only time will save you with this map !! Journey through a custom water temple to try and beat your friends scores. Don't get lost. You think you are good at parkour? 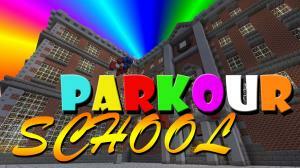 Go back to parkour school to test your true skills! 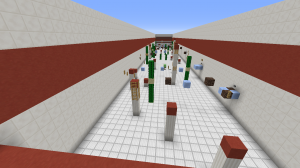 This is a simple, vanilla parkour map. Levels are split into 3 stages and based on game's minerals - Iron, Gold and Diamond to be precise. 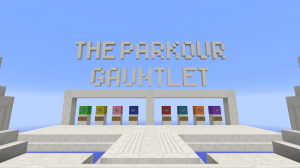 This map features many unique types of parkour! Test your skills in this fun-filled challenge! Do you want to stay at a penthouse... FOR FREE!? Then you'll have to parkour your way to the top. 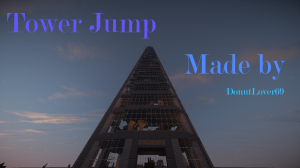 When you're in the sky and have nothing to do, why not play this awesome parkour map made by AdamPlaysMC! Avoid death by placing blocks underneath yourself as you sprint across a ravine. 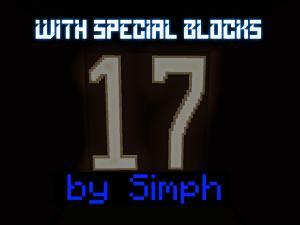 Sprint your way through 12 levels each featuring a different block. 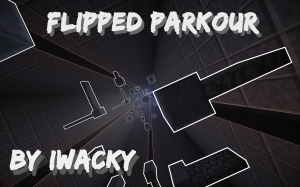 Flipped parkour is a singleplayer parkour map, but reversed. Kinda like dropper. That means you have to parkour down instead with different difficulties. The map is quite hard and frustrating. You have to be fast, the blocks under you will disappear when you step on them! Will you be fast enough to beat this map?! 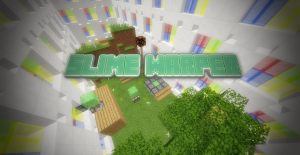 Slime Warper is a parkour map in which you progress through 7 different biomes filled with slime block related jumps. 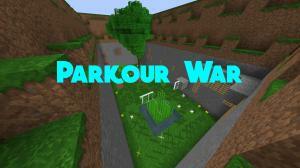 Try to complete all three parkour sections to become the parkour king. 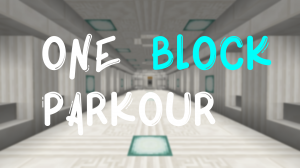 Wool Hurts is 10 stages of parkour where you have to dodge the wool! 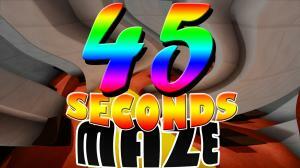 Will you finish each parkour maze before the timer runs out ?! Find out now in this never before seen map. 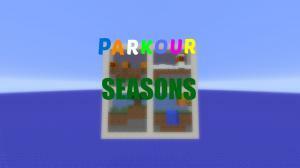 This is a parkour map going through all the different seasons: Spring, Summer, Fall, and Winter. 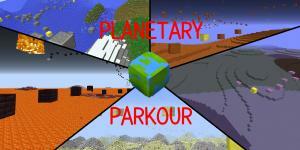 This map consists of 5 stages of parkour, starting from easy to difficult jumps! 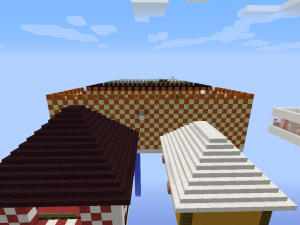 In this map you will have 15 different stages of parkour for you and your friends to try and beat. Can you beat your friends scores? 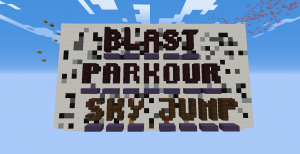 Blast Parkour: Sky Jump is a map where you have to blast you upwards in the skies. 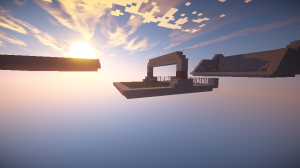 Beat this map and become the master of Parkour and Blasting. 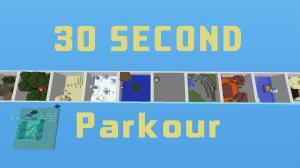 Dash your way through 10 Speed Parkour Levels. But there's a twist! Each course must be completed within 30 Seconds. Alex has been kidnapped and Steve has to save her! Seems a familiar plot? Well, it's not. 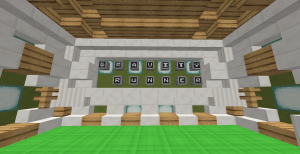 Parkour your way through 5 Planets and experience custom Gravity and many other unique Command block features! Welcome to the map when you have to finish each level before time will be out! 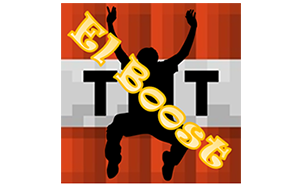 Run through all levels and earn as many points as you can! 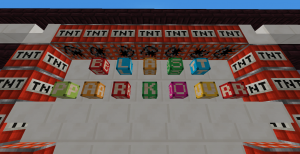 Blast Parkour is a parkour map where you have to blast through the level. Try to complete this map and become the king of blasting. Will you be smart and tactical enough to beat this map?! 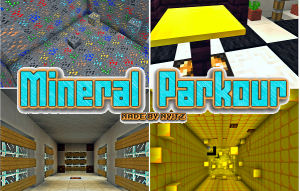 In this parkour map you'll travel through eleven different themed levels! 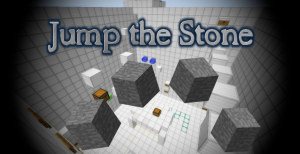 Place the stone block in the right place to complete this easy parkour! 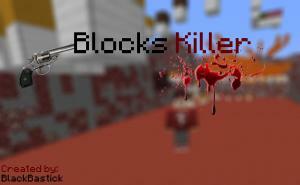 Noteblocks is a parkour map. 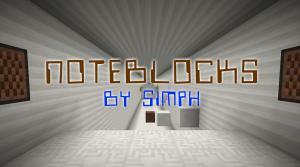 It contains 7 stages within every level: Noteblocks. 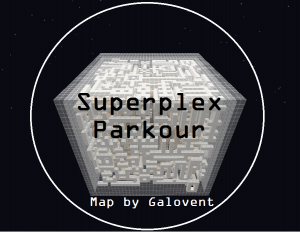 Welcome to Superplex Parkour! Your objective is simple, you must parkour your way to the exit through a 3D maze. 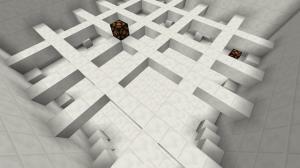 This map is Parkour-puzzle.The map contains 18 levels and hard mode. You need to place the block correctly to pass the level. Enter these 7 worlds with crazy things in each world. Bounce and Jump through a course as fast as you can! 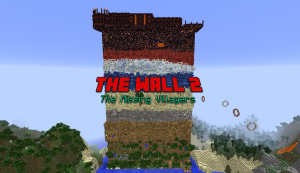 This is a parkour/adventure map that takes place on a gigantic wall! 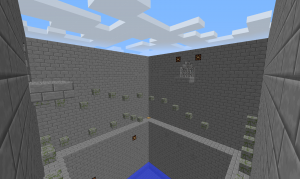 You need to climb the wall, while also fighting monsters and visiting lots of different biomes and locations. Enter into this weird world that will make you lose your mind and discover a new way to handle jumps. 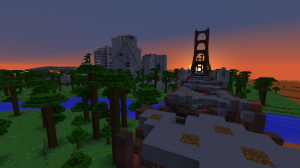 Are you seeking for an easy parkour map, well look no further! UPDATE: Ending now fixed.